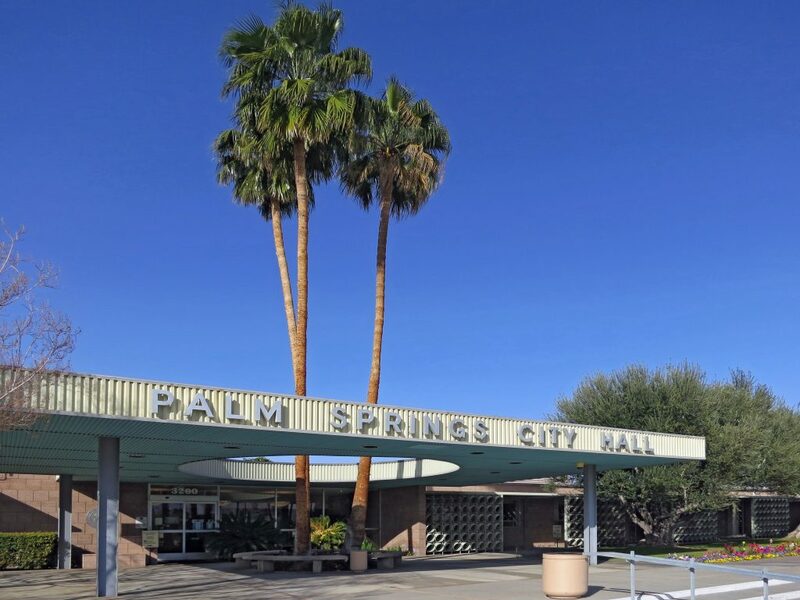 Palm Springs, CA — the famed desert resort 100 miles east of Los Angeles — has reinvented itself as a hip, retro-chic tourist destination playing upon its legacy of modern-era buildings from the 1950s and 1960s. 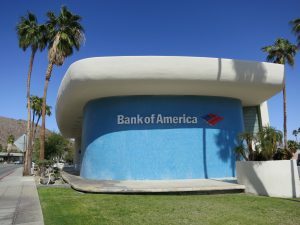 Each year at the end of February, the city is host to “Modernism Week,” a weeklong celebration of all things Mid-Century Modern. Each year, the event grows larger, adding more tours, lectures, and exhibits. For information on future Modernism Weeks visit the event website. Home Tour of El Rancho Vista Estates: This Mid-Century Modern neighborhood was designed in 1959-1960 by architects Donald Wexler and Richard Harrison. 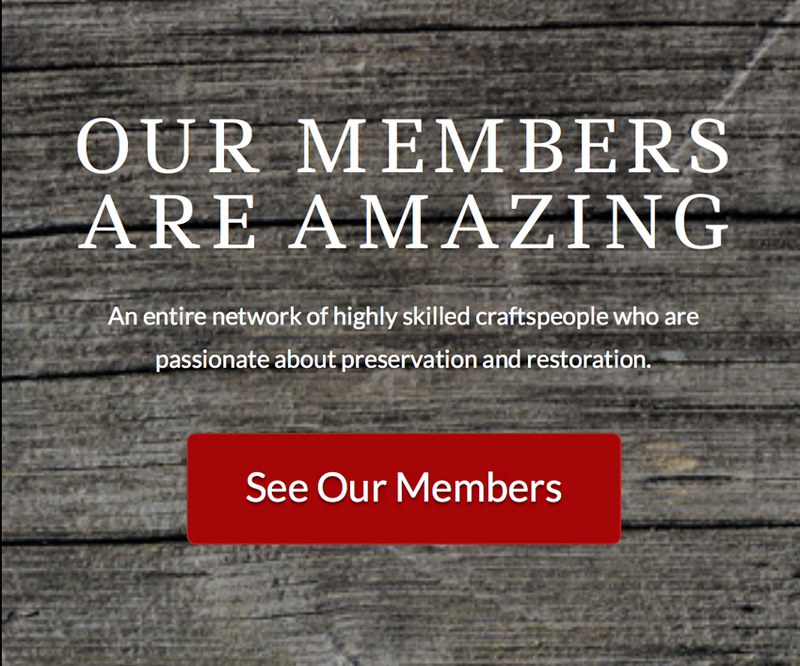 The past decade has seen many new residents moving in and restoring these distinctive houses to their original glory. Vintage Travel Trailer Exhibit: This exhibit included many of the famed Airstream trailers as well as other vintage trailer brands. Owners were on hand to guide tour-goers through their trailers and explain about each trailer’s history, their own restoration efforts, and actual adventures of the road. Preserving Eichler Homes: In the 1950s and 1960s builder Joseph Eichler introduced well-designed modern homes to a mass market of middle- and upper-middle-income California buyers. Before Eichler, Mid-Century Modern houses were exclusively the province of extremely well-heeled buyers. Oregon’s builder of modern homes, Robert Rummer, used many of the same techniques to make his modern homes appeal to a similar Oregon demographic. This seminar addressed the history and features of this house style. It also addressed how to live in one today while preserving the features that made them so appealing to begin with. 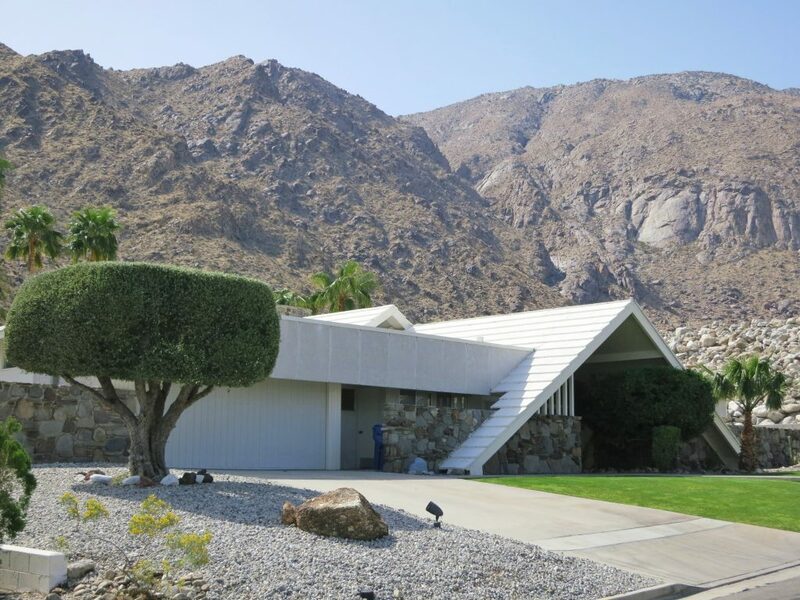 There are several ways to begin exploring Palm Springs’ world of mid-century neighborhoods. One way is to take the three-hour double-decker architectural bus that explains the history, design, and architects that made Palm Springs what it is today. This bus tour operates throughout the year, so check schedules for availability. Another approach is to stop and get a “modernism map” at the architecturally significant Palm Springs Visitor’s Center at Highway 111 northern gateway to the city. The Visitors Center, built in 1965, was a former gas station that was designed by architect Albert Frey. 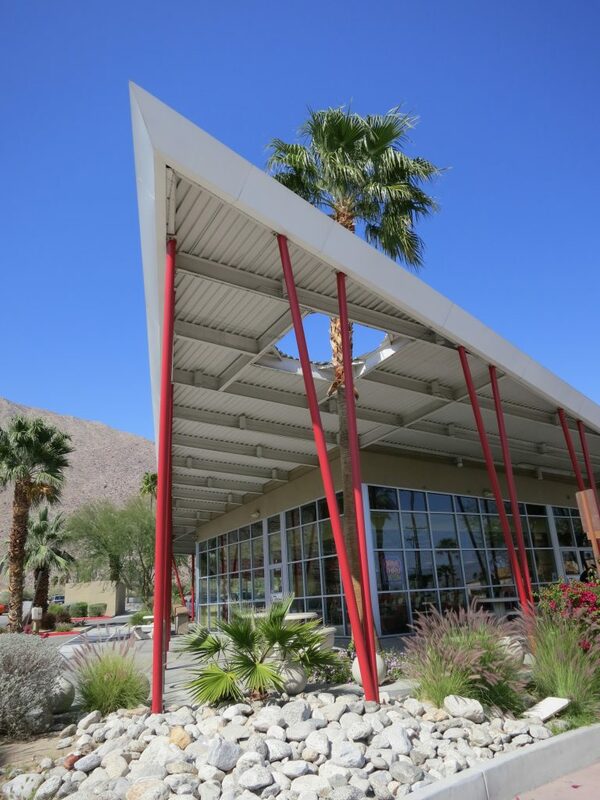 Its “hyperbolic paraboloid” roof has become an icon of modern design and can be found in a number of other smaller establishments in Palm Springs. As a third alternative, the very independent traveler can merely start out at random in any direction on foot or by car and easily get the flavor of mid-century Palm Springs. Downtown Palm Springs is compact and walkable — somewhat of an anomaly in car-crazed Southern California. 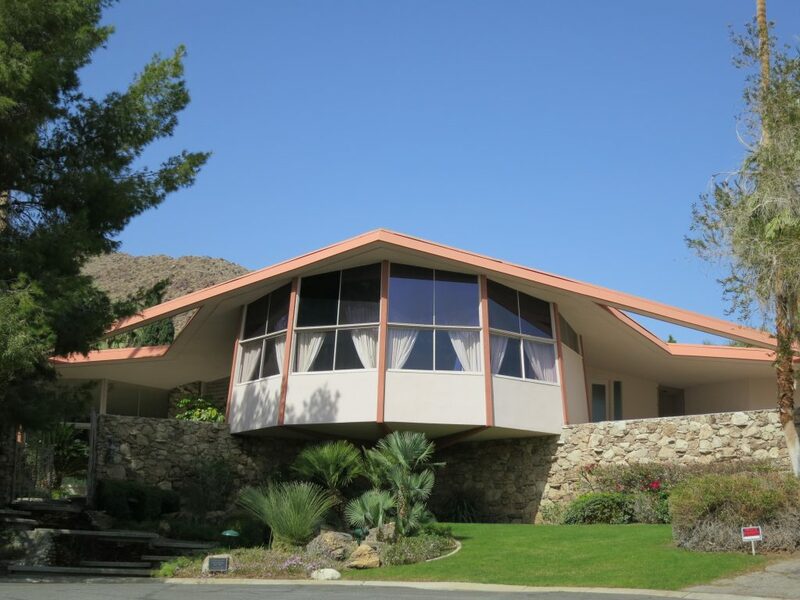 Many of the best-known modernist hotels are likewise concentrated in a thin strip of land between Palm Canyon Boulevard (the city’s “Main Street”) and the base of the San Jacinto mountains. Though not absolutely necessary to enjoy the city, renting a car does increase one’s variety of Mid-Century Modern experiences. One can’t drive very far in Palm Springs without encountering significant architectural districts. Perhaps the most common of these are the many 1950s-1960s neighborhoods designed (mostly) by William Krisel and built by the Alexander Brothers Construction Company. Over 2,200 modern homes were built by the Alexanders between 1947 and 1965. 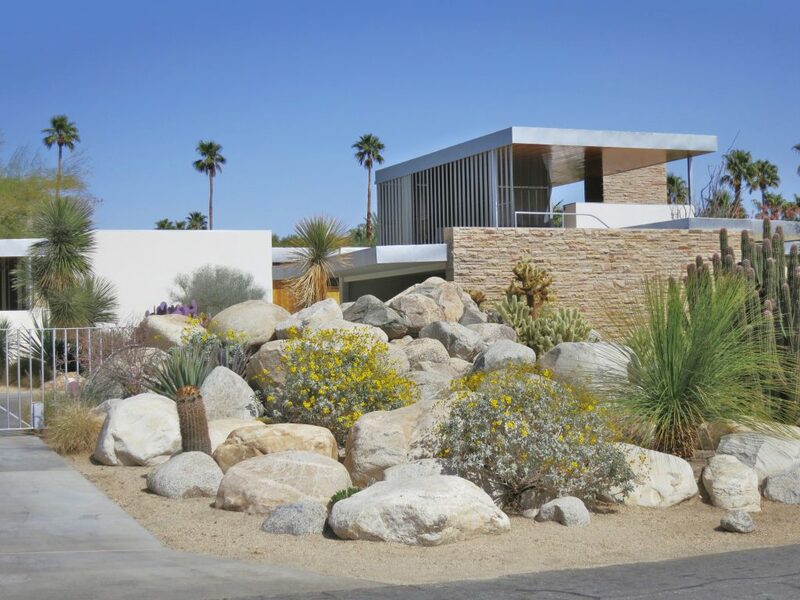 Their design hallmarks include such Mid-Century Modern features as vaulted ceilings, low ground-hugging silhouettes, large expanses of glass, desert landscaping, indoor-outdoor floor plans, and decorative use of concrete block. Tragically, the Alexanders were killed in a 1965 plane crash. Other, smaller builders picked up the slack for a while and carried on the tradition of building well-designed, modern homes in the desert. But by 1970 Palm Springs, this grand dame of desert resorts, had begun to show her age. Many of the city’s elite were moving south to newly opened areas in Palm Desert and Rancho Mirage. Palm Springs languished for a good twenty years or so, catering to an increasingly older, increasingly down-market crowd. Then in the 1990s creative-minded (mostly) younger people, many in the gay and lesbian community, began re-discovering the beauty of Palm Springs modernism. Many relocated to the city and began bringing it back. The city’s economic somnolence of the 1970s through 1980s had, fortunately, precluded the type of ill-thought-out “remuddling” found in other more prosperous California resort towns. 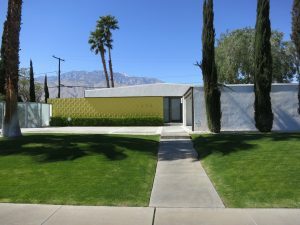 Home and business owners just didn’t have the money then to change their buildings into the latest design fad (Palm Springs escaped both the “avocado/harvest gold” and “mauve” kitchen eras, for instance). The result today is arguably the largest and best-preserved example of Mid-Century Modern architecture in the country. Most Mid-Century Modern homes have by now been restored. 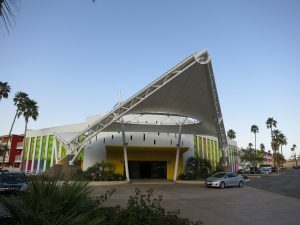 In addition, new homes and businesses are usually designed in the Mid-Century Modern style as well, furthering the “brand” of Palm Springs modern. 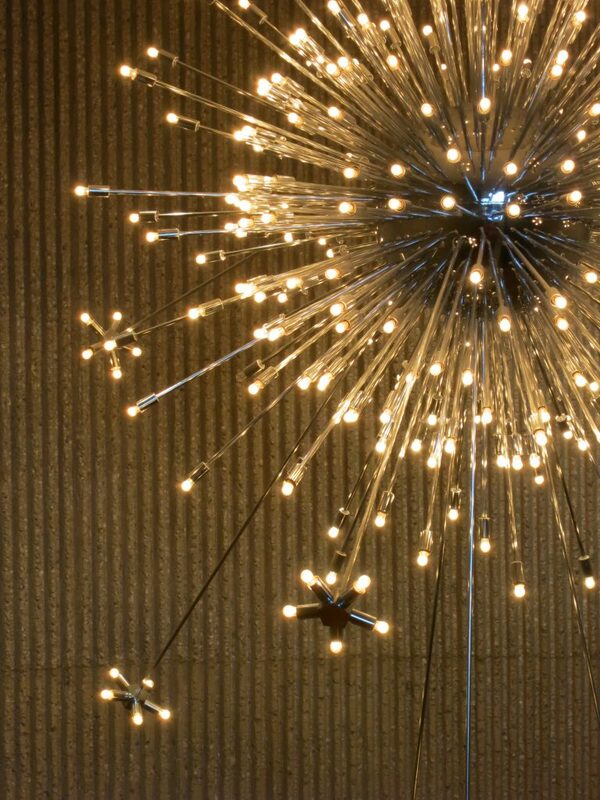 Each year as more and more people in the country (and the world) discover the beauty and practicality of Mid-Century Modern design, Palm Springs’ star burns brighter and brighter.